Nearly two years after the Indian Army conducted "surgical strikes" on terror launchpads across the Line of Control (LoC), in September 2016, video clips have surfaced that show destruction of bunkers and other military constructions as well as casualties. 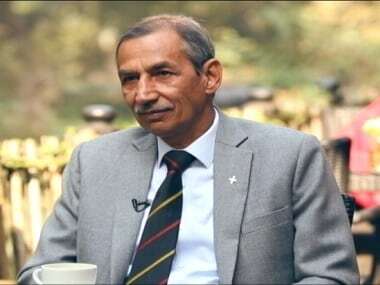 Military veteran Lieutenant-General Deependra Singh Hooda, former Northern Army Commander who was directly in-charge of the operation, was one of the first to authenticate the videos. With a career spanning forty years, Hooda has served on both the Northern and Eastern borders of India. Soon after the surgical strikes, as a political row erupted over the authenticity of the operation, Hooda wanted to release the footage to 'rest the speculations'. But somehow, he couldn't prevail over the political leadership. Did you see videos of the Surgical Strikes after the operation in September 2016? Are the videos released to media genuine? Yes, I did. And the videos are authentic. This is exactly what I saw through the UAV feed as well. We were seeing it Live in the Command Operation Room at Udhampur Headquarters. Technology played an important role in the entire operation... we have made advances in the area. So, what stopped the army from releasing the videos earlier? My view was to release the videos at that point only, as Pakistan had completely denied the strikes. They took a whole bunch of journalists to the LoC and told them nothing had happened. Some doubts were also raised on our side. At that time, I felt it was better to release these videos and embarrass Pakistan. But then, the government took the decision of holding them back. And now, with the videos finally out, what do you think of the timing of the release? See, I don't want to get into the timing of it. But, I think there was no doubt in the minds of the Indians that this has happened. The only good thing is that these videos have busted Pakistan's denial posturing. In that sense, yes, it's a good thing that these videos are finally out. As somebody who oversaw these strikes, what impact did it create on the other side? Well, it created both a physical as well as a psychological impact. But, we were always sure that despite doing this, Pakistan was not going to stop supporting terrorism. That is impractical. Then did the militant camps relocate after the strike? Yes, from the information we recieved, they did. There was a fair amount of shock and panic in the Pakistan Army. But more than that, we had lost 19 soldiers. How could we let it go unavenged? Our own officers and soldiers would've asked questions like, 'what are you doing?' People here were saying you can't even protect your own camps. So, we took the risk of sending boys inside a heavily guarded border, to deliver a strong massage. Like I said, it had a psychological impact. Listen, if you actually start looking at the pattern of ceasefire violations, you'll notice a deterioration taking place on the borders from summer 2013 onwards. So, confusing it with the surgical strikes won't be a fair assessment. We need to understand that behind the escalation is this whole desire to have a confidence building measure to keep the LoC quiet, that tends to breakdown. As long as the infiltrations, fireworks and beheading go on, the troops manning the border are bound to retaliate. To maintain some calm on the frontiers, a DGMO meeting was held recently. Are you hopeful of its prospects? No, I'm a bit sceptical about this ceasefire agreement. The Directors-General of Military Operations (DGMOs) might have agreed on something, but unless it has some strong foundation, it is bound to cut loose. That's why it broke down almost immediately. Unless you talk about the root cause of the problem, it won't work. But as a strong votary of a peaceful solution, do you bat for an India-Pakistan dialogue? Yes, I do believe the two countries must speak to each other. But I also believe that talking to Pakistan won't calm down our internal situation, as they're quite happy with the boiling Kashmir problem. I see no incentive for them to shut the terror tap in the Valley. But talking, I reckon, is always a good thing. So, do you see the Kashmir problem as 'boiling' right now? See, the problem is, the Valley seems to have decided that everything is wrong. And it merits an immediate introspection from every side. My suggestion is, start with the small steps. Do something to calm the streets. We have a little opportunity to do this with the Governor's Rule. Normally, when a government is dismissed, you'll find political constituency coming on the streets saying you've dismissed our government. But you don't find that all here. If people are welcoming Governor's Rule, try and provide good governance and regain some confidence of the people. And then talk about other issues. One has to try to normalise the situation. It's not like thousands of people are joining militancy in Kashmir at the moment. So, let us deal with it... we can deal with it. What do you think of elected representatives using army operations as part of political messaging? The army is always looked as apolitical and that's completely the right way. When the army starts getting influenced, then we have a problem. It may not manifest immediately but in the long term, it would. So, as long as the army is kept out of a political discussion, that is an ideal state. The problem is that the professional aspects can get affected. If the professionalism of the military gets effected, then that is a bigger worry than some people having political leanings. Everyone has political leanings, but we should keep the military out of the political debate, for upholding its professionalism. Are you planning to write a book on the surgical strikes? Yes, I've been thinking about it. When I read the books already published on the subject, the details are embellished a little bit I feel.